As the wraps came off the 2018 model year machine at the EICMA motorcycle expo in Italy last fall, the new ownership team from Grupo Torrot Electric had just taken over and had something to prove. 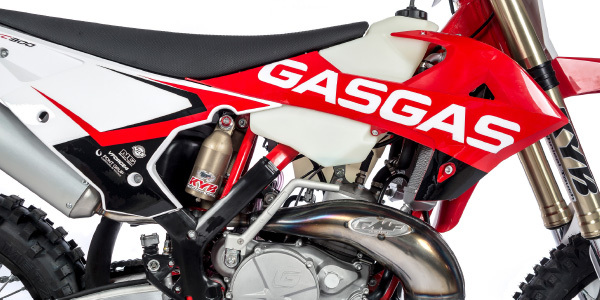 All the jokes about an e-bike company taking over a company called “GasGas” notwithstanding, the European media was mildly curious in Milan. Dubbed “Project Phoenix” the new EC/XC Enduro bikes stopped the snickering as soon as the smoke cleared! 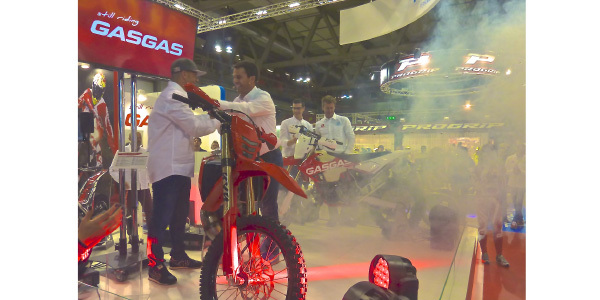 “This is a model that embodies the re-launch of the brand with more than three decades of tradition at the highest levels of off-road competition,” announced Torrot CEO Ivan Contreras. “A brand which takes the best from the past to challenge the present with the power needed to reinvent itself.” Power is right, the engines are entirely new from the crank to the top end. Ditto for the frame in terms of materials, weight and geometry. 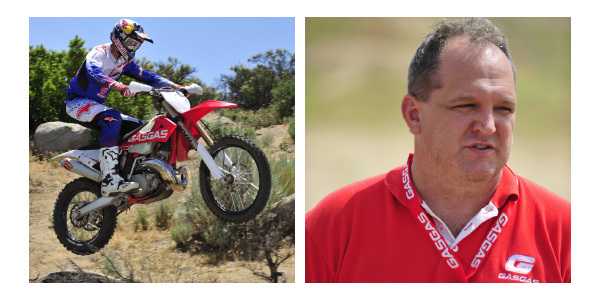 Fast forward to May of 2017 and Gary LaPlante’s MotoVentures training center in Anza, California, for the official GasGas USA launch. This is one of the times when the bikes actually look better without the smoke and mirrors! GasGas USA COO Mark Berg gave the rundown of the new models (which dealers will be getting starting in July) and presented a few surprises of his own. While the moto media was anxious to go thrash the immaculate Spanish bikes, MPN took a quick minute to speak with Berg about some of the other issues that have plagued GasGas USA in the past. “The brand had a separate importer for trials bikes with Dale Malasek, an importer for the off-road bikes and a third distributor for the parts… not to mention a funny name that nobody knew.” Berg certainly tells it like it is. Part of getting serious has been getting some help. The crew in the red shirts at the GasGas launch included 10x AMA Trials Champ Geoff Aaron (promotions manager and our host for the event), industry veteran and Eastern Region sales manager Rod Overstreet, Western Region sales manager Jubal Brown and even “The Beast From The East” Damon Bradshaw. “We have a solid team in place,” says Berg in the ultimate understatement. However it was a couple guys standing outside the tent that caught our attention. Off-road legend Steve Hatch and racer-turned team owner Fred Andrews were cooling their heels waiting for the media riff raff to go riding. So what’s the scoop with these guys? Normally candid Berg became cagey, saying “we’re here to launch the 250/300 EC/XC models.” With top talent, totally new bikes and a true commitment from Torrot to expand GasGas USA, look for this Phoenix to emerge from the ashes and really take flight!